The award, which honors Gene Burd, professor emeritus of Journalism at the University of Texas and a pioneer in urban journalism studies, is jointly sponsored by AEJMC and the Urban Communication Foundation (UCF). The Kim-Gonzalez project will explore the current status of border-city journalism through a case study of Priscilla Villareal, the controversial citizen journalist in Laredo, Texas, known as “LaGordiloca.” The scholars intend to examine new forms of urban citizen journalism – focusing on controversial, uncensored, social-media formats – and to explain how journalism functions in border cities. They will present preliminary findings and analysis during the session sponsored by the Urban Communication Foundation at next summer’s AEJMC conference in Toronto. The full call for the program will be issued in mid-2019. For the grant’s second year, research proposals will be due on or before Oct. 18, 2019. The grantee, who will be selected in December 2019, will present preliminary research results at the AEJMC conference in San Francisco in August 2020. The UCF is proud to present Julia Guarneri with the 2018 Jane Jacobs Urban Communication Book Award for her book, Newsprint Metropolis: City Papers and the Making of Modern Americans. The award will be presented during the Urban Communication Foundation’s meeting at AEJMC’s Washington, D.C., conference. The International Association for Media and Communication Research -IAMCR- and the Urban Communication Foundation are pleased to announce that the 2018 UCF/IAMCR Urban Communication Research Grant will be awarded to Matthew Bui, a doctoral student and Graduate Fellow at the University of Southern California’s Annenberg School for Communication, for his project (Re)Claiming the Smart City: Los Angeles, Racial Capitalism, and Sociotechnical Representations of Space. Matthew Bui’s project problematizes the degree to which big data governance tools can, and will, deliver on their promises to foster inclusive and equitable outcomes within urban communities. Namely, it examines the datafication and mediatization of place-based communication through open data portals and commercial geospatial platforms, and argues that, without any deliberate intervention, the integration of these tools within urban governance processes will likely perpetuate and exacerbate the logics of racial capitalism embedded within digital infrastructures. These issues of race and class are particularly important for the segregated technopolis of Los Angeles. Moreover, this project calls attention more broadly to the racial and class-based politics of (mis)representation, (in)visibility, and (post)colonialism within sociotechnical productions of space and geospatial databases. 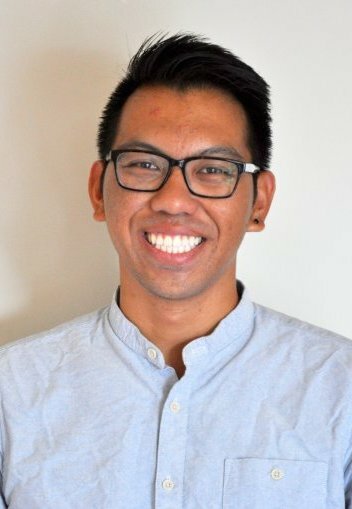 Matthew N. Bui is a doctoral student and Graduate Fellow at the University of Southern California’s Annenberg School for Communication, and an inaugural Randall Lewis Data Science Fellow at the Southern California Association of Governments. His scholarship focuses on the racial and cultural politics of big data and data systems, especially in relation to issues of urban planning and policymaking. In particular, he is interested in advancing “urban data science” as a method of critique and critiquing urban data science as a field. Bob Hanke’s project, A Smarter, Smart City? Alphabet’s Sidewalk Labs and Toronto’s Quayside, begins with an October 2017 decision by Waterfront Toronto to partner with Sidewalk Labs, a sibling company to Google, in co-producing “Quayside,” a 12-acre site on Toronto’s eastern waterfront. The aim is make Toronto a global hub in urban innovation that takes the lead on the “smart city.” The goal of the project is to examine how Toronto’s implementation of the “smart city” will produce social space and contribute to an emerging platform urbanism. Bob Hanke teaches media studies in the Departments of Communication Studies and Humanities at York University. Among other courses, he teaches Mediaspace and the Modern City. In 2002, he co-authored a case study of “Signs of a New Park” that examined the planning process and cultural struggle over the meaning of a “park” in the context of new urbanism and a post-modern approach to urban space and nature. He has published in various journals and books, and co-edited “Out of the Ruins: The University to Come” in TOPIA: Canadian Journal of Cultural Studies. His recent research interests include film-philosophy and the co-existential film trilogy of Swedish filmmaker Roy Andersson and U.S. political communication and culture with a focus on Trump’s populist politics and micro-fascism. Rebecca Finkel will receive an honorary mention for her Examination of Police Communication and Public Interpretations of Safety at Scottish Urban Festivals. Given the current global geopolitical climate and related public safety incidents, security at festivals is now one of the most significant areas of events management, and it is impossible to run successful cultural events or encourage healthy tourism economies if people feel unsafe. However, there is a fine line between creating safe public spaces for celebration and those that are overtly socially controlled. This interdisciplinary research evaluates Police Scotland’s communication, and the public’s interpretation, of safety messages at Scottish festivals. 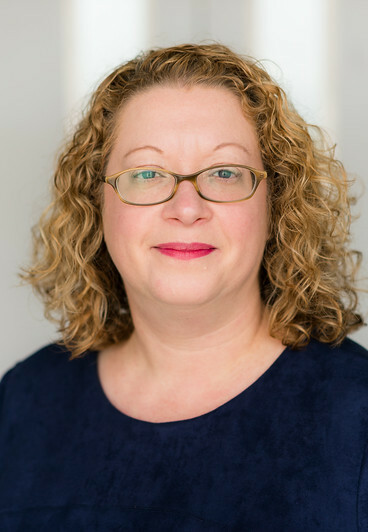 Dr Rebecca Finkel is an urban cultural geographer and Reader of Events Management in the School of Arts, Social Sciences & Management at Queen Margaret University, Edinburgh. Main focus of research frames critical events studies within conceptualisations of social change. Main research interests centre on equality and diversity, social justice, and cultural identity as it relates to urban festivals and major events. New research investigates post-humanism in events, tourism, and leisure contexts.